TNA Wrestling and their TV partner in India, Sony SIX, have announced the signing of Mahabali Shera. We made note of the acquisition here on WrestlingNewsWorld.com over the weekend but now it is official. 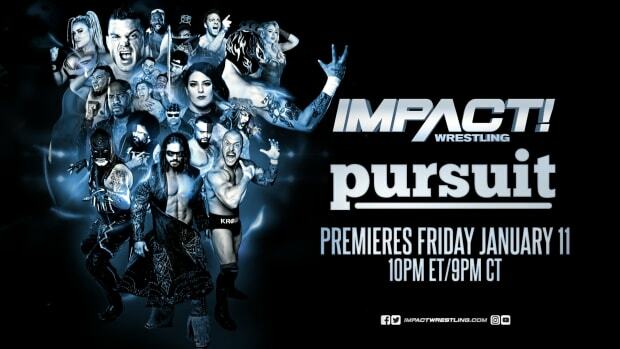 I&apos;m not sure how TNA is handling this and how much Sony SIX is helping with the talent acquisition. Domestically, the word is TNA doesn&apos;t want to commit to more contracts until their TV situation is settled. However, the company is lining up some roster announcements, some that are going to surprise people. Chandigarh, 22nd September 2014: Marking a historic moment in the world of wrestling entertainment, TNA and SONY SIX together announced the signing of the first ever Indian wrestler Mahabali Shera into the global roster of TNA Wrestling. Catering to the sustained demand and popularity of the sport, the announcement marks a significant investment by SONY SIX and TNA to the growth of wrestling entertainment viewership across the Indian market. This momentous announcement comes after a yearlong search for an Indian wrestler which begun with Hall of Fame star Kurt Angle&apos;s visit to India in 2013. The TNA superstar selected and mentored Mahabali Shera, welcoming him into the elite faction of the TNA global talent roster. Under his guidance, the 24-year-old, Mahabali will feature across TNA&apos;s programming line-up of TNA Impact Wrestling (Monday nights) in a bid to grow the popularity of wrestling in India through local connect. Viewing the market potential, SONY SIX and TNA, through this announcement, state their collaborated vision of exponentially growing and reaching out to a broader fans base for TNA in India. Speaking on the announcement, Mr. Prasana Krishnan, Business Head, Sony SIX commented, "We are thrilled to partner with TNA in creating this iconic moment with the unveiling of the first ever Indian wrestler for TNA. India is home to some of the most passionate wrestling fans and through our consistent offering, high quality content and market reach we will make Mahabali Shera a household hero and fuel growth and popularity for TNA." On the launch announcement of Mahabali Shera into TNA roster, TNA President Dixie Carter said, "Signing Mahabali to our roster as the first Indian wrestler is a testament to TNA&apos;s commitment to our Indian viewers and our continued focus on international brand expansion. With his in-ring talent and incredible story of achieving his dreams, we are confident viewers will quickly connect with Mahabali as he represents the people and nation of India throughout the world." Speaking on Mahabali Shera joining TNA, Kurt Angle said, "It&apos;s great to be back in India where TNA Wrestling is enjoyed by millions. This visit makes it even more special as I introduce Mahabali Shera as the newest TNA Superstar. Mahabali Shera is a great athlete who has showcased tremendous potential and skill, which strengthens my belief that he has what it takes to become a champion." Being signed on by TNA, Mahabali Shera said, "TNA is one of the biggest wrestling entertainment organizations in the world and I am deeply thankful and thrilled to be a part of it. With the organization featuring some of the best wrestlers in their talent roster, it is a great opportunity as well as honour for me. I hope my inclusion in the TNA storyline will be a catalyst for audiences in India to connect with TNA and enjoy the sport exclusively on SONY SIX."